This year’s Formula Student racing car design competition is introducing the use of Artificial Intelligence and autonomy for the first time. This year marks the first time that there will be a driverless element to the competition, FS-AI, with some teams being tasked with developing a cost-effective software package to enable an Artificial Intelligence (AI) car to make its own decisions, and evolve to improve its own performance. The new aspect of the competition ensures that FS continues to support industry by addressing the skills gap and providing mechanical engineering students with the opportunity for real-world experience of integrated electronics, software and systems engineering. Cardiff Racing, who were crowned the Overall Winners in 2017 and were the first UK winners to do so, will be looking to retain their title. They are one of the 69 teams from the UK competing in this year’s competition. 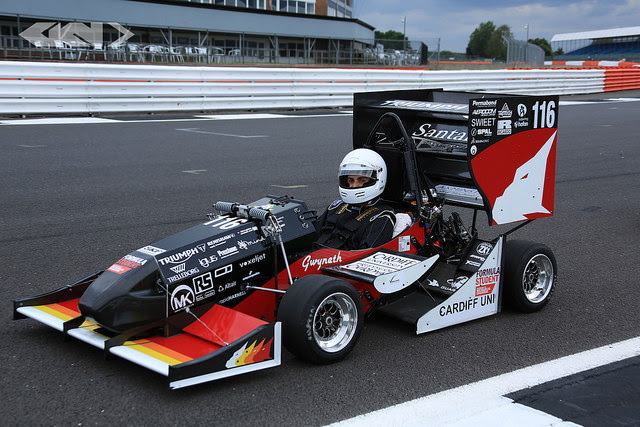 Andrew Deakin, Chairman of Formula Student, said: “To design and build a competitive racing car in one year, whilst studying for a degree, is no mean feat. The level of innovation, commitment and ambition that the teams display is incredible and it’s very exciting to see their hard work pay off. “The fact that we are introducing a new AI element this year is particularly exciting, as AI is already transforming so many industries, including the automotive sector. This new, exciting element to the competition aims to encourage enterprising students to look to the future by designing the software for a fully autonomous Formula One-style vehicle in a safe environment.